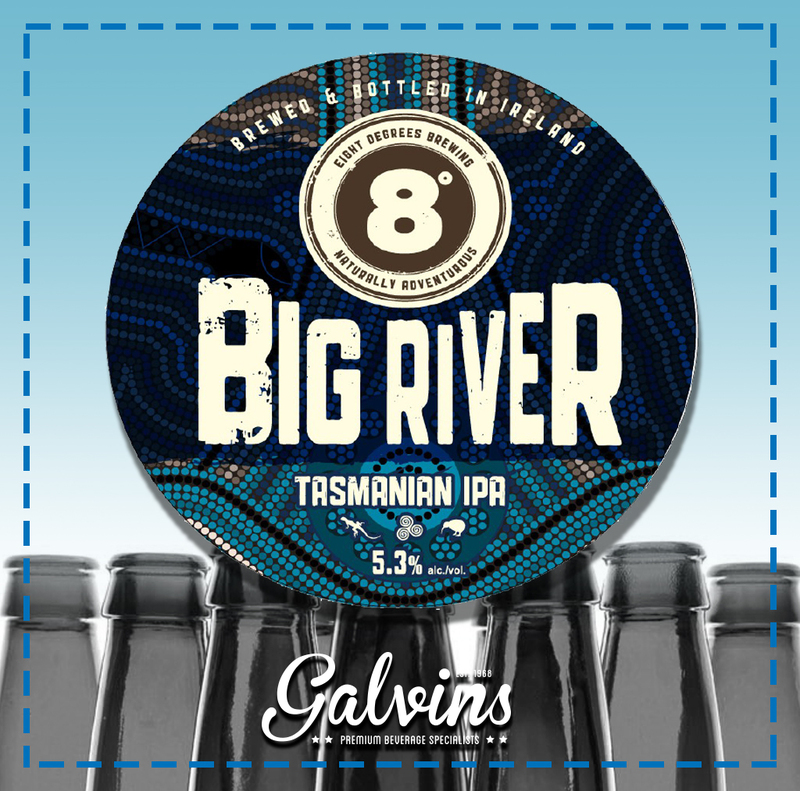 8 Degrees Release Limited Edition Big River Tasmanian IPA | Galvins Wines & Spirits | Distributors of award winning Irish and International Craft Beers and Ciders, Small Batch Spirits and Exclusive Wines. Bright orange colour, fluffy white head with strong floral notes, combined with a bright passion fruit and fresh pine aroma. Hops are to the fore here, with up front bitter tangerine flavours, followed by complex pine resin and tart redcurrant. Touch of anise in the finish. With a pleasant lingering tart bitter aftertaste.